Would you like to be a sponsor of the Okie Derby? 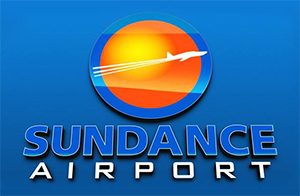 A special thanks to SUNDANCE AIRPORT for supporting our event and providing the venue. Oklahoma Chapter of Ninety-Nines thanks you for your support! If you or your business would like to become a sponsor for the Annual Okie Derby Proficiency Air Rally, we are now taking new sponsors! Recognition posted at all Okie Derby Air Rally events, including the hospitality room, pilot briefing and banquet. The Ninety-Nines, Inc. is a 501 ( c ) ( 3) non-profit organization. Tax ID# is 510155620. Your contribution may be deductible on your income tax. You should contact a tax consultant for more information. We accept the following forms of donations. We appreciate your support of the Okie Derby and the “Wings of the Future” scholarship.